This is actually a really good question, and one that I had to deal with myself before I started work on this project. In the days of blogs, always-on internet, and smartphones, the idea of going out of your way to flip through a book for the information you’re looking for seems patently absurd. The other important component of this question is: with all of the other summaries2 out there across the internet, do we really need yet another take on the same story? Do we REALLY need another episode guide?? After two and a half years working on this blog, I’d say that the answer is a firm “yes,” we do. Read also: What Would a 90s Live Action PGSM Have Looked Like? 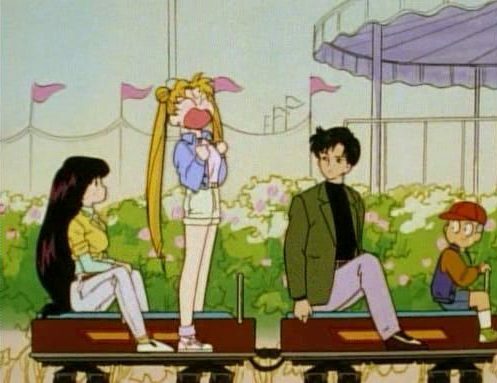 Despite having been a fan of Sailor Moon for going on 20 years now, it seems like every time I sit down and watch an episode — even those I’ve seen countless times — I always run across yet another small detail I missed before, or uncover an interesting tidbit involved in the production of the series. 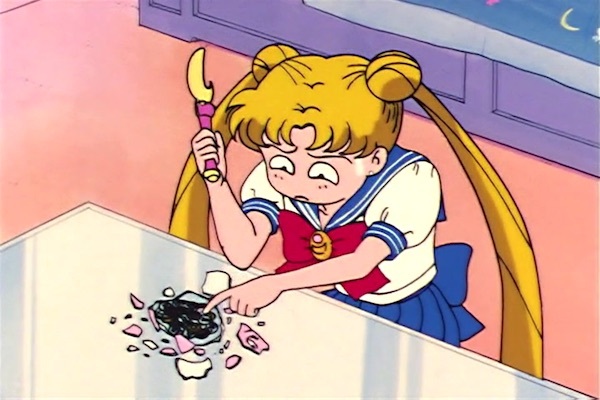 …that the lead-in to Usagi’s henshin sequence had to be changed after the first few episodes? …why Usagi talks about angry lizards and other obscure animals? …that the bridal shop in Act 5 of the manga was based on a real store? …how often the opening and ending sequences were updated throughout the first season? …what real world Juuban schools and other locations Ms. Takeuchi used when creating the manga? …that the monsters appearing in the beach episode were an homage to another manga? …why Ami is worried she’ll catch a cold from visiting the Hikawa shrine in episode 10? While I’ve been able to turn some of these tidbits into actual blog articles, more often than not there just isn’t enough content for me to talk about. Despite that, I still want to share all these small consistency issues, bits of trivia, and relevant Japanese cultural notes with people. I think the best way to do this is in the same context in which they appear — through summaries of the episodes and manga acts in which they appear. Lastly, that brings us to the upcoming Kickstarter! This is your chance to be a part of this book — not just in helping to get it actually printed, but also in providing feedback for what kind of information you want to see in it. I can’t provide too many details right now as the campaign is still a work in progress, but I’m currently targeting going live in late May. At a minimum, I’ll be offering up digital and paperback editions, as well as a Kickstarter-exclusive hardcover edition of the book. Depending on how well the campaign goes, I’m currently looking into options for creating accurate, real world ofuda in the style of the ones Rei wields in the series. 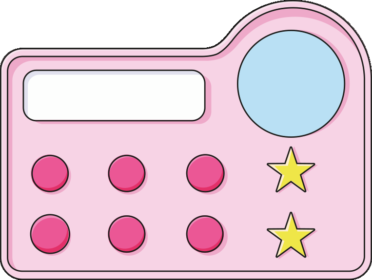 I have quite a few ideas for things I’d love to do to bring a piece of Sailor Moon into the real world, but unfortunately I’ll have to keep the rest under wraps for now. 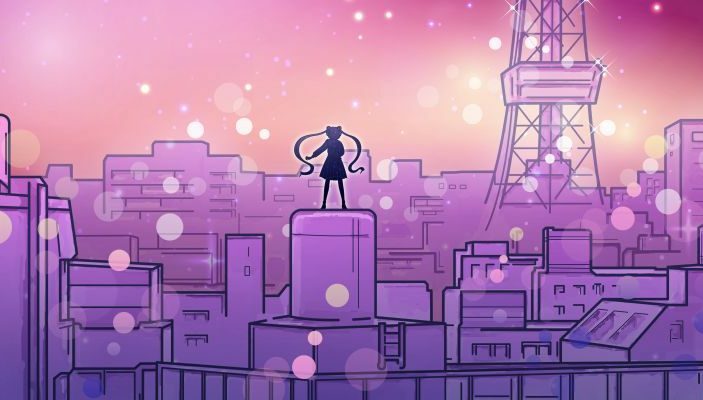 Read also: Who is the Most Popular Sailor Moon Character Now? As soon as the Kickstarter campaign goes live, there will be a limited quantity of paperback and hardcover editions available for 20% off. To get first dibs on this opportunity, and to keep up to date on the book and other news from Tuxedo Unmasked, be sure to sign up for the mailing list! If you currently receive emails whenever the blog is updated, then you’re already set! There’s so much more I’d love to say about the current progress of the book, but I’ll spare you the minutia on the review structure and other content for now. If you have any questions, however, I’d be more than happy to answer them in the comments below, or you can always contact me directly over social media (Twitter or Facebook) or through the Contact form. I know I don’t say it nearly enough, but I’m incredibly thankful to have had such an awesome opportunity to interact with so many other fans through this blog. It’s been a great two and a half years so far, and I look forward to many, many more! ← Was Codename: Sailor V Inspired by a Volleyball Manga? Posted 2018-05-07 at 10:43 am by A.J. I just discovered your blog this morning. I already forgot what I was googling that lead me here but I am definitely loving this website! I have read several articles already. You have piqued my interest in the hardcover book too! Can’t wait to hear more details about it! Always happy to hear that there’s a little something for everyone to keep people interested here on the blog! There are over 250+ articles at this point, so the List of Articles is probably your best bet if you have anything in specific you’d like to know more about, or you can also read up on individual characters! I can’t express how happy it makes me to hear that other people might be interested in something like this! The Kickstarter will be launching later this month, but in the mean time I’ll have several posts leading up to it to discuss the content, what’s involved in the process, etc. Why was the communicatior in season 1 of the 90s a calutor (messed up spelling it oh well) when in the rest of the series, manga, and Crystal etc it’s a wrist watch?? Things like that baffle me. It’s weird, because the calculator also makes an appearance in S (or SuperS?) if I recall correctly. But otherwise they were pretty inconsistent about how they used their wrist communicators. Personally, I loved the calculator more, but I guess it wasn’t good for selling more merchandise to kids! I love the idea! And I’m happy that digital version will be avaible too, because I’m from Eastern Europe and delivery always costs A LOT. Glad to hear that people are actually excited about this! It’s been something I’ve wanted to do for awhile now, but I wasn’t sure if there was any interest. And if you actually ARE interested in a physical copy, shipping will be included in the Kickstarter price! I’ve been following the blog for a while now, and I’m excited that a book will come out of all this (I also enjoy obsessing over details like the ones you look at here). My husband is Japanese and grew up watching the series, whereas I grew up reading (and re-reading) the manga here in the states when the first translated episodes had obvious editing gaps/weirdness and I wanted to know what the whole story really was. Often, I’ll read one of your posts, tell him about it, and he’ll say “Oh yeah! I remember that! That’s because…” or “What, really? I didn’t even know that and I’m from there…” and then we’ll have long awesome discussions about Sailor Moon, culture, and history in general. So thank you for providing such a great spring board for discussions! Also, I do have a question about the upcoming book: Will it be available in English and Japanese? (My husband is often starved for interesting books in his native language, and I’m always on the lookout for material to help with my epic journey of learning to read Japanese). I’m really, really happy to hear that this gives you something to discuss with your husband! My wife (Japanese) also watched the show as a child (and even went to a few of the musicals) while I read all the manga and watched the anime in translation in the states, so it’s always interesting to compare notes with people who saw the series in “real time” in Japan. Unfortunately, the book will only be in English. But if either your husband is looking for something similar to read on Sailor Moon in Japanese, I highly recommend the book セーラームーン世代の社会論 (link). I exchanged a few emails with the author when the book first came out and even explored the idea of translating it, but he said it’d be up to the publisher. I’d still like to explore it some day! Thanks for the link! That book looks really interesting. I’m sure my husband will like it, and I’ll get to read it someday in the future when I get better at reading (I’m up to my eyeballs in kanji study right now). And yes, comparing the experiences of a person who saw the anime in real time growing up with someone who read the manga (albeit translated) at a later stage of growing up has been great fun! (One of my favorite “Cultural/Animation industry differences” topics has been the lyrics for the “moonlight densetsu” theme between the anime in Japan versus the States). Watching Crystal together has been quite a trip too, as I know what’s coming a little better than he does, due to his not reading the manga. Lots of fun analytic discussions there. This blog gives us so much more to get into than just the surface differences though, so thank you again! I dare say we’ve learned more about each other’s experiences due to what we’ve read here and then discussed. I eagerly await the book! Posted 2018-05-12 at 5:24 am by A.J. Would you touch on the subject of characters’ outfits emulating real-world fashion? When I saw those runway photos of the clothes the 4 Sisters wore I got a kick out of it. It is pretty cool that high fashion adds another layer to the Sailor Moon story. 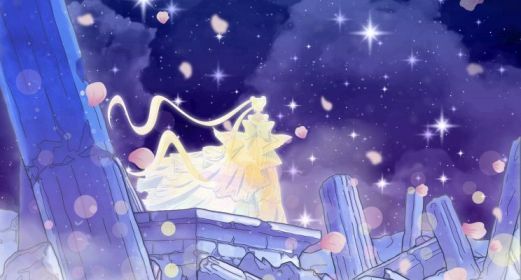 On the other hand, that wedding dress, or whatever it was, that inspired Princess Serenity’s dress was kinda ‘meh’.